His wife can be heard shouting: "It's biting him, it's biting him!" 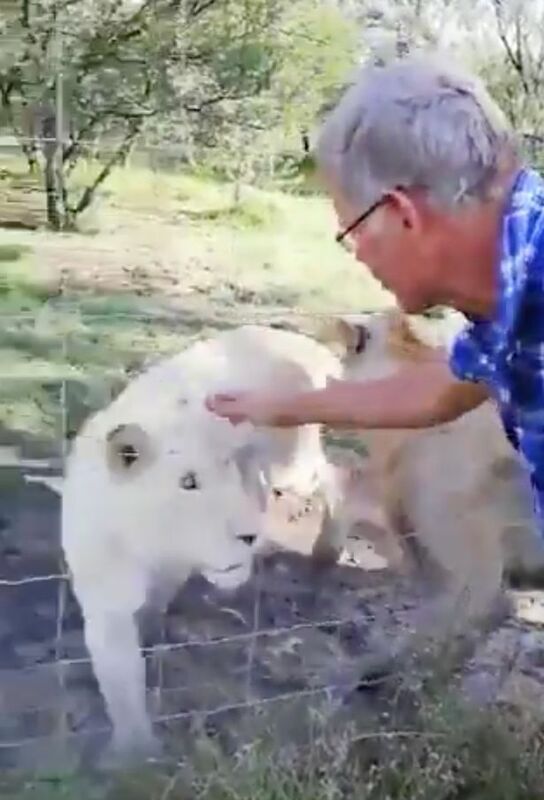 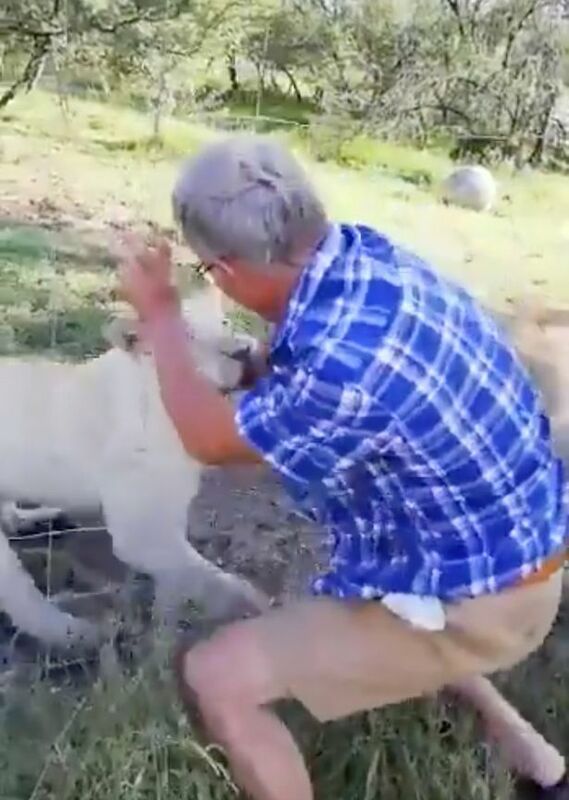 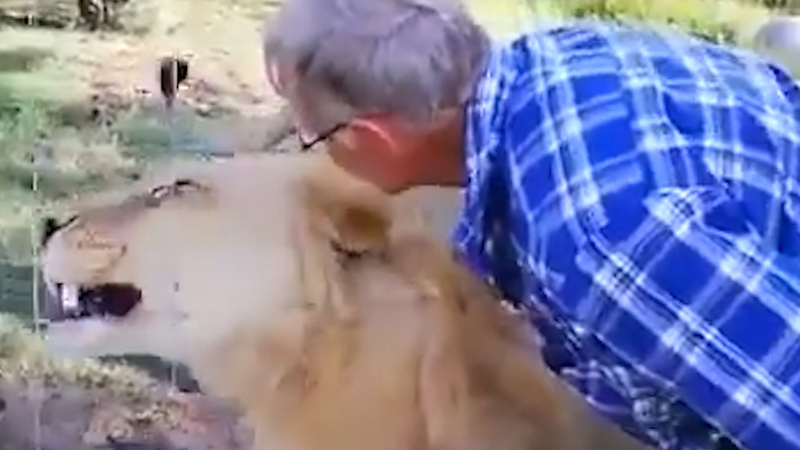 as the lioness locks its teeth on the mans's forearm. 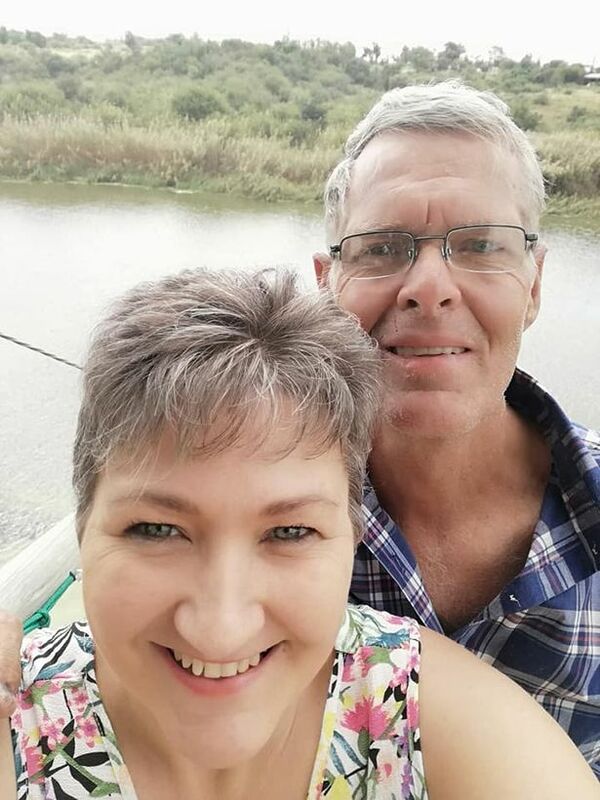 Mr Nortje was said to be celebrating his 10th wedding anniversary with his wife, Ilze, at the luxury Tikwe River Lodge in Virgina, Free State Province in South Africa. 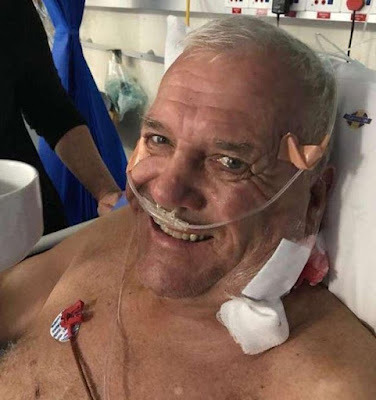 He was reportedly rushed to Pelonomi Hospital in Bloemfontein after suffering a septic shock - a life-threatening condition caused by severe infection and requires emergency medical treatment in intensive care.